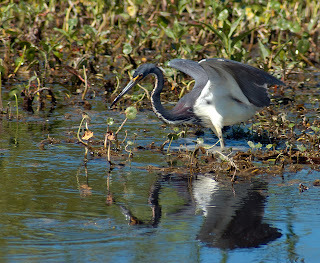 This tricolored heron was vigorously hunting in the shallow waters of the Emeralda Marsh. I find these birds to be very skittish and they are very difficult for me to get within decent range. They usually put up with me long enough to get the tripod set up and my eye to the viewfinder, then off they go before the focus and exposure are set. If I can get one like this guy when they are a little preoccupied with eating then I can get closer. I really try and not disturb them while they are feeding, you never know how critical the food supply is or if they are also feeding their young. 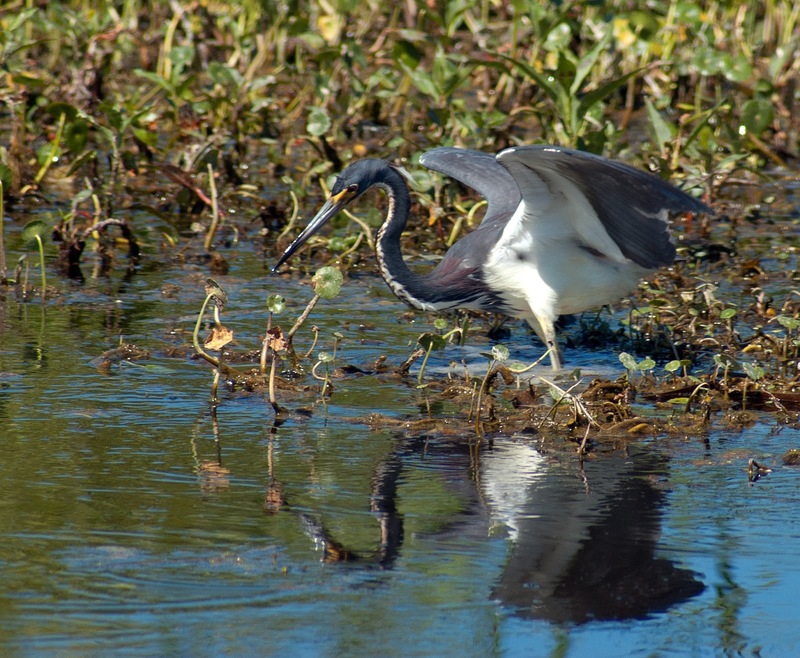 The photos are great but not worth adversely impacting these magnificent birds.